No poem as such today. 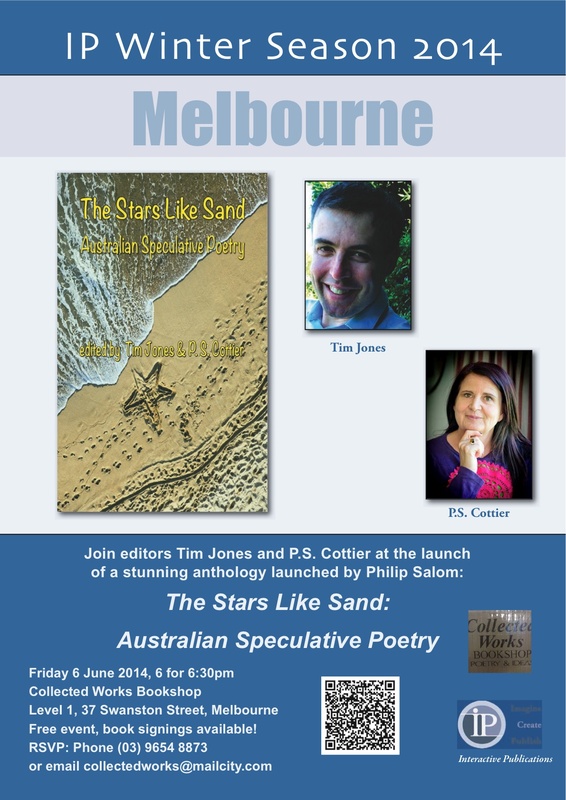 I am going down to Melbourne soon for the launch of The Stars Like Sand and am finding it hard to write at the mo. However I recently had a hat trick of poems up at Eureka Street. And, having linked more times than a golfer, she puts away clubs, balls big and balls small, and retires to the gym for a bit of metal. Here are the launch posters, for the last time.